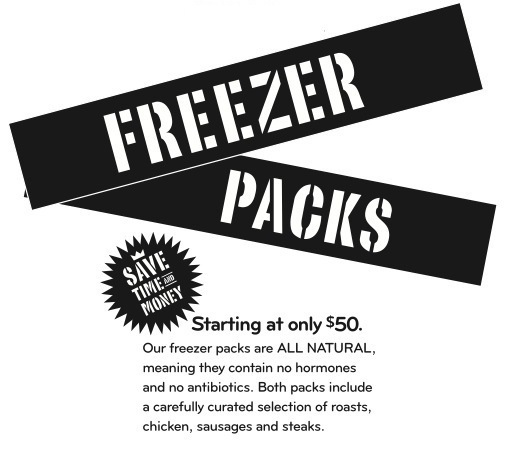 Save time and money with our prepackaged meat freezer packs. Each pack contains an assortment of choice meats such as roasts, chicken, sausages and steaks. 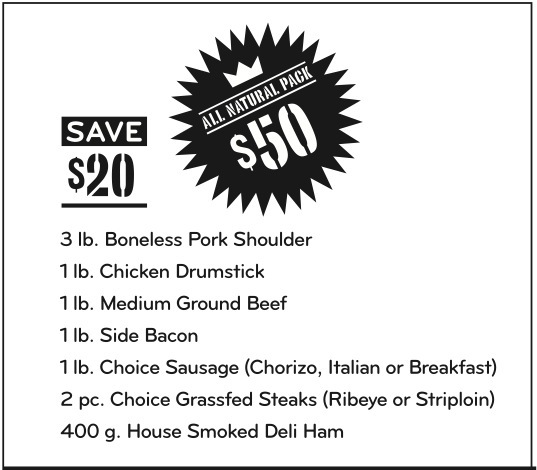 Choose from our $50 or $100 pack that is enough to feed a large party.